In this interview for TATuP, conducted at the Institut national de la recherche scientifique in Montreál, Benoît Godin responds to Ulrich Ufer’s questions about the history of the concept of innovation and its uses in present and past discourses on social change. UFER, U.; GODIN, B. Interview mit Benoît Godin. 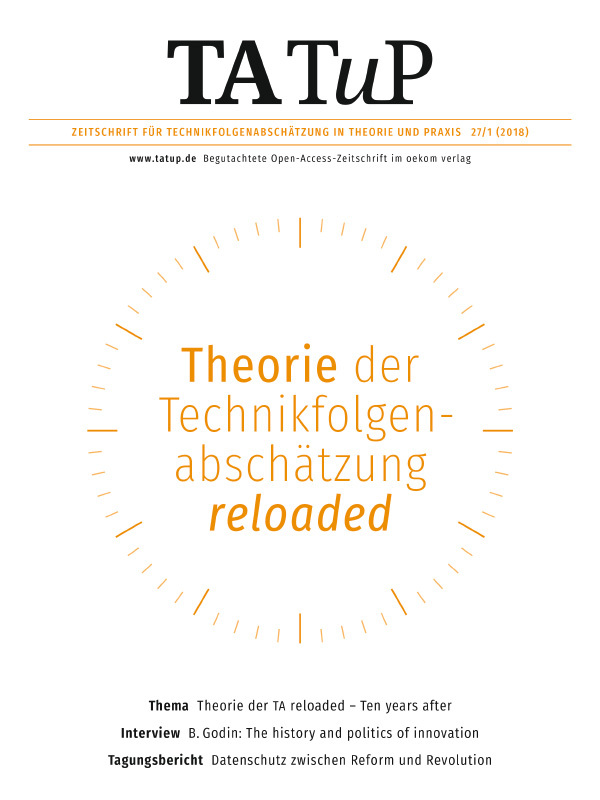 TATuP Zeitschrift für Technikfolgenabschätzung in Theorie und Praxis, v. 27, n. 1, p. 60-63, 26 mar. 2018.